The EuroLeague women’s basketball competition brings together the top teams from various European basketball leagues. 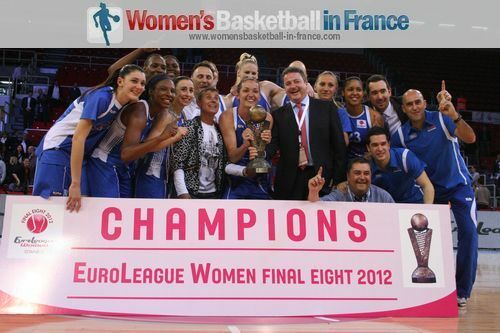 The ELW competition format had been changed for the season (2011-2012) by replacing the final four with a final eight. The original plan had been to have 24 teams split into three groups of eight, with the top four teams from each group qualifying for the knock-out stage alongside the best fifth place teams. The host of the Final Eight qualifies directly for the final phase. However with just 23 teams this season, one group had seven teams. You are able to find the relevant links on the right side of this page of our covering the EuroLeague Women from previous seasons. If live basketball coverage is not available on television or by live streaming during match day, it is possible to follow the play-by-play live actions of the matches here.